Have all the fun without the commitment. These tattoos will last from 2-5 days depending on where they are placed and how well you take care of them. Avoid soap, sunscreen and oils to prolong the life of your tattoos. Your Friends will say, "Were did you get those!" How To Use: 1. Cut out tattoo of choice and remove the transparent film. 2. Place tattoo face down on skin. 3. Wet the tattoo thoroughly with a sponge or towel. 4. After 20-30 seconds, gently remove the back paper. 5. Allow tattoo to dry. To Remove: 1.Dab tattoo with rubbing alcohol or baby oil. 2.Wait for 10 seconds,then rub gently and repeatedly again until removed. Note: 1. Not intended for children under 6 years. 2. Due to the difference between different monitors, the picture may not reflect the actual color of the item. Thank you! Color: Black Weight: About 10g/0.32oz per sheet Dimension:About7.9'' * 10.6'', 4.7'' * 7.5'' Package Included: 2 x Sheet Stickers 1 x Instructions Shipping:Please make sure your shipping address is current and correct when you order, Apt # and ZIP CODE matters also. Have all the fun without the commitment. These tattoos will last from 2-5 days depending on where they are placed and how well you take care of them. Avoid soap, sunscreen and oils to prolong the life of your tattoos. Your Friends will say, "Were did you get those!" How To Use: 1. Cut out tattoo of choice and remove the transparent film. 2. Place tattoo face down on skin. 3. Wet the tattoo thoroughly with a sponge or towel. 4. After 20-30 seconds, gently remove the back paper. 5. 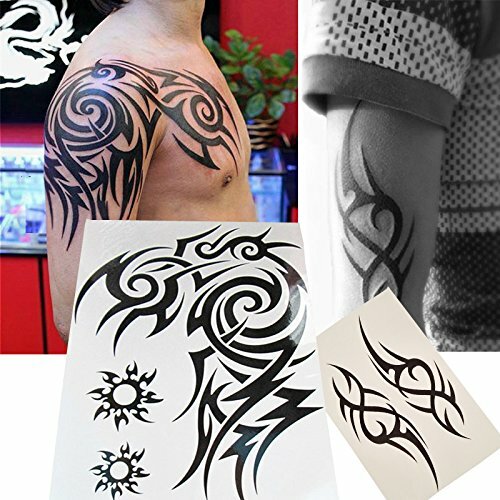 Allow tattoo to dry. To Remove: 1.Dab tattoo with rubbing alcohol or baby oil. 2.Wait for 10 seconds,then rub gently and repeatedly again until removed. Note: 1. Not intended for children under 6 years. 2. Due to the difference between different monitors, the picture may not reflect the actual color of the item. Thank you! Color: Black Weight: About 10g/0.32oz per sheet Dimension:About 7.87'' * 10.6'' / 6.7'' * 6.7'' Package Included: 2 x Sheet Stickers 1 x Instructions Shipping:Please make sure your shipping address is current and correct when you order, Apt # and ZIP CODE matters also. Have all the fun without the commitment. These tattoos will last from 2-5 days depending on where they are placed and how well you take care of them. Avoid soap, sunscreen and oils to prolong the life of your tattoos. Your Friends will say, "Were did you get those!" How To Use: 1. Cut out tattoo of choice and remove the transparent film. 2. Place tattoo face down on skin. 3. Wet the tattoo thoroughly with a sponge or towel. 4. After 20-30 seconds, gently remove the back paper. 5. Allow tattoo to dry. To Remove: 1.Dab tattoo with rubbing alcohol or baby oil. 2.Wait for 10 seconds,then rub gently and repeatedly again until removed. Note: 1. Not intended for children under 6 years. 2. Due to the difference between different monitors, the picture may not reflect the actual color of the item. Thank you! Color: Black Weight: About 10g/0.32oz per sheet Dimension:About 21 x 29.7cm/8.27 x 11.67 inch Package Included: 2 x Sheet Stickers 1 x Instructions Shipping:Please make sure your shipping address is current and correct when you order, Apt # and ZIP CODE matters also. These temporary tattoos provide big fun for both children and adults alike! Have all the fun without the commitment. These tattoos will last from 2-5 days depending on where they are placed and how well you take care of them. Avoid soap, sunscreen and oils to prolong the life of your tattoos. Your Friends will say, "Were did you get those!" How To Use: 1. 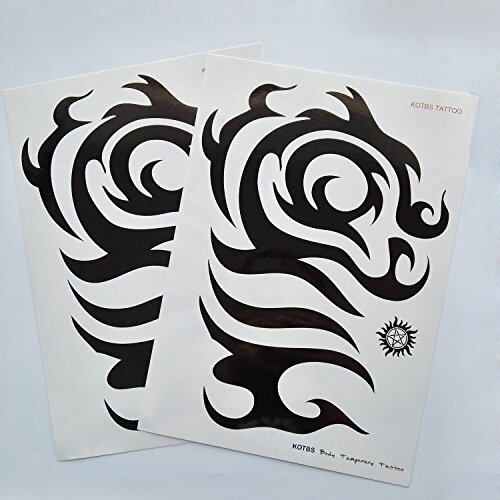 Cut out tattoo of choice and remove the transparent film. 2. Place tattoo face down on skin. 3. Wet the tattoo thoroughly with a sponge or towel. 4. After 20-30 seconds, gently remove the back paper. 5. Allow tattoo to dry. To Remove: 1.Dab tattoo with rubbing alcohol or baby oil. 2.Wait for 10 seconds,then rub gently and repeatedly again until removed. Note: 1. Not intended for children under 6 years. 2. Due to the difference between different monitors, the picture may not reflect the actual color of the item. Thank you! Color: Black Weight: About 10g/0.32oz per sheet Dimension:About 8.2'' x 11.6'', 5.5'' x 8.2'' Package Included: 6 x Sheet Stickers 1 x Instructions Shipping: Please make sure your shipping address is current and correct when you order, Apt # and ZIP CODE matters also. Made in the USA. Premier quality. 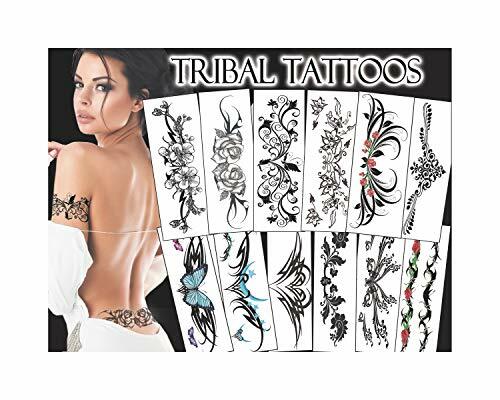 This package includes a gorgeous collection of tribal tattoos. 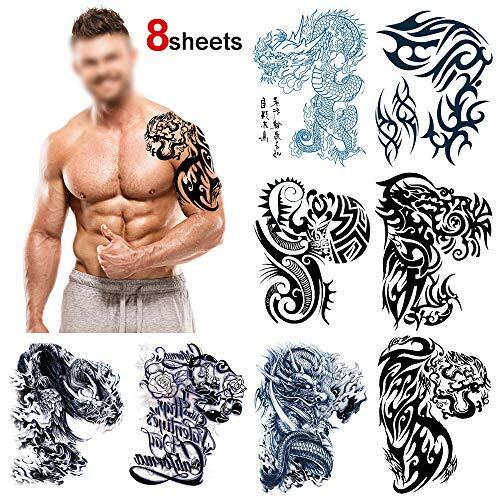 All the tattoos shown are included in this package. These Tattoos are 100% waterproof and will last for up to 5 days or longer, even while swimming and bathing. Easy to apply in only 10 seconds with water, easy to remove with rubbing alcohol. Safe for all skin types. 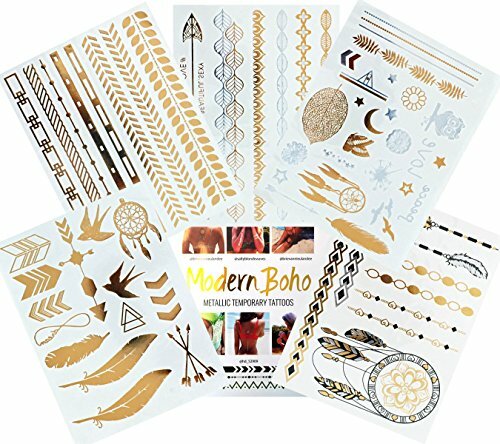 Temporary Tattoos will also apply to most other surfaces in addition to skin...clothing, glass, mirrors, walls, plastic and much more! This is a great gift item to spice up any special occasion! 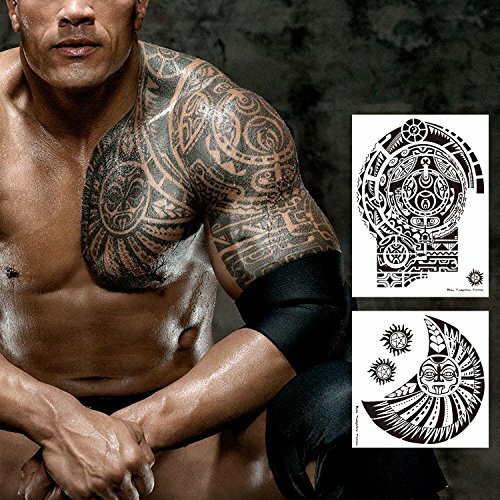 For well over two decades, StarBrite Colors has made the boldest and brightest tattoo inks on the market. Especially designed for the world's best tattoo artists, this professional-grade pigment delivers superior color and coverage that will maintain its original vibrancy, even years after application! Stress-free to work with, this ink offers a smooth consistency that flows easily, for reliable results each time. 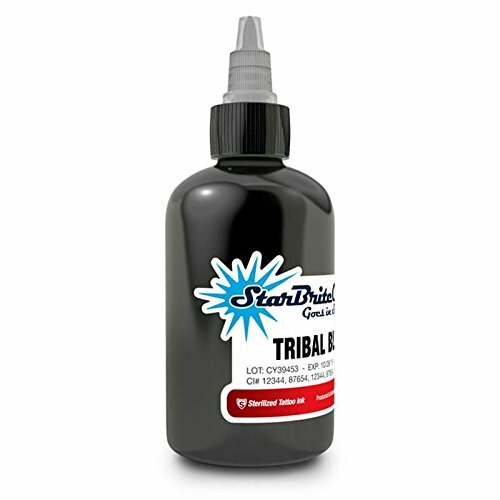 StarBrite Colors tattoo inks are proudly made in the USA and sterilized for safety. 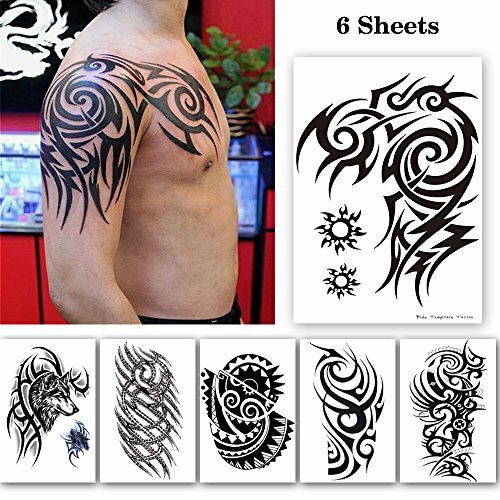 Tinsley Transfers Tough Guy Tribal Body Bands 3pc Temporary Tattoo FX Kit, 9.5"
Watch here best Tribal Tattoo for Arm designs and select a good idea for your body.